Brandy is quietly gaining more and more popularity in the spirits industry in the US. With over 13 million cases sold domestically in 2016, Brandy outpaced gin, Scotch and even Irish whiskey, according to the Distilled Spirits Council of the United States. 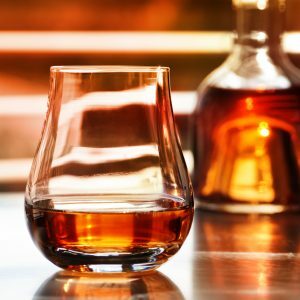 The Bourbon boom has at times overshadowed the domestic Brandy rise, but millennials who are less tied to a specific product segment and an increasing number of consumers looking for classic cocktails at their favorite bars have led to Brandy coming back in a big way. To put it simply, Brandy is fermented and distilled fruit juice. Many have forgotten that until prohibition, apply, peach and pear brandies were some of the most popular drinks in the US. Brandy is known for its robust flavors and bartenders love using the spirit to make classic cocktails that pack a punch. Distilleries, some of which have been pushed out of the whiskey business due to fierce competition, love the growing Brandy popularity as well. And from the looks of the trend, it doesn’t plan on stopping anytime soon.